 This camp will be the fourth Workshop Jiu Jitsu camp, and the first held in New York City. The primary goal is to have the head instructors from Workshop NYC, Workshop Honololu, Workshop PDX , and their teams coming together for a week of comprehensive instruction and training. This camp we are happy to have guest instructor Eddie Cummings in attendance. Friends from other teams are always welcome to come train with us. Aaron Milam began training under Carlson Gracie black belt Rey Diogo in 2000, under whom he earned his purple belt. Upon moving to New York in 2006, he began training under John Danaher and team Renzo Gracie. In February 2008 Aaron was awarded his black belt. Aaron also holds a brown belt in Judo under Roy Kawaji. During his years of training he has competed in Brazilian Jiu Jitsu, Judo, and submission grappling, regionally and internationally. Aaron holds a Bachelors and Masters degree in philosophy. Jin began training at the Renzo Gracie Academy after moving to New York for university. He has competed at the national and international levels in Brazilian Jiu Jitsu. He is a Black Belt under Renzo Gracie / John Danaher. Jin has wrestled under the instruction of Hamid Kermanshah, NYAC wrestling coach and still practices with Mike Torriero, head coach of the Renzo Gracie Wrestling team. He has also spent time training Judo at the NYAC Dojo, studying with Teimoc Johnston Ono. Jin has also boxed since prior to moving to New York. Additionally, Jin has coached and cornered fighters from the amateur to professional levels in MMA. He holds a Bachelors degree in Business Management and a Masters degree in Education. Eddie Cummings is a jiu jitsu black belt under John Danaher, being often referenced as one of the founding members of a group named as the Danaher Death Squad (DDS) out of Renzo Gracie’s Academy in New York City. Cummings is known as a revolutionary figure in this sport, particularly for his contribution in improving positions such as the heel hook, saddle (411) and ashi garami for submission grappling having won several important tournaments with this manoeuvre, more so in the ‘submission only’ rule-set. This includes wins at Polaris Jiu Jitsu Invitational and the Eddie Bravo Invitational (EBI). Mike Torriero comes to us with a great deal of coaching experience. From September 2009-May 2013, he served as the Program Director at Beat the Streets Wrestling, a non-profit organization devoted to helping expand and develop the sport of wrestling in New York City’s five boroughs, particularly in the public school system. Torriero founded Journey Wrestling in September 2005, where he coached multiple high school state champions, All-Americans and college standouts in the tri-state area. A 2005 graduate of NCAA Division I West Virginia University with a Bachelor of Science degree in physical education, Torriero was a captain and starter for the Mountaineers’ wrestling team. He qualified for the NCAA Division I Championships in 2004 and was an All-Eastern Wrestling League performer. A native of Sound Beach, NY, Torriero resides in the Williamsburg section of Brooklyn, NY. He is the head wrestling coach at Renzo Gracie Academy NYC. THE THEME OF THIS YEARS CAMP IS YET TO BE DEFINED. Jin’s classes will be gi. Aaron, Eddie, and Mike will all teach no gi seminars. There is also an option to attend Jin’s regularly scheduled Jiu Jitsu classes at Five Points. Workshop Jiu Jitsu takes pride in building a friendly school to school relationships within the jiu jitsu community. Enrollment in Workshop seminars will be open to the public: all schools, all belts, at a variety of price points. There are discounts offered for Workshop Jiu Jitsu students and affiliates and a major discount rate for Renzo Gracie black belts. please email us for the coupon codes. We have a small team discount for room bookings available at the Solita hotel. http://www.solitasohohotel.com/ The hotel is located around the corner from where the camp will be held and is close to most major train stops. If you are traveling on a budget there are numerous Air BnB options in and around the city . If you have questions regarding travel or if your Airbnb choice is located close enough to the camp please feel free to email us. This year’s fall camp will be held in New York City. Contact us and we’ll be glad to answer the best we can. Just use the form to the right. If you are current student of Workshop Jiu Jitsu student from New York, Portland, or Honolulu, please contact us via this form for a discount code.